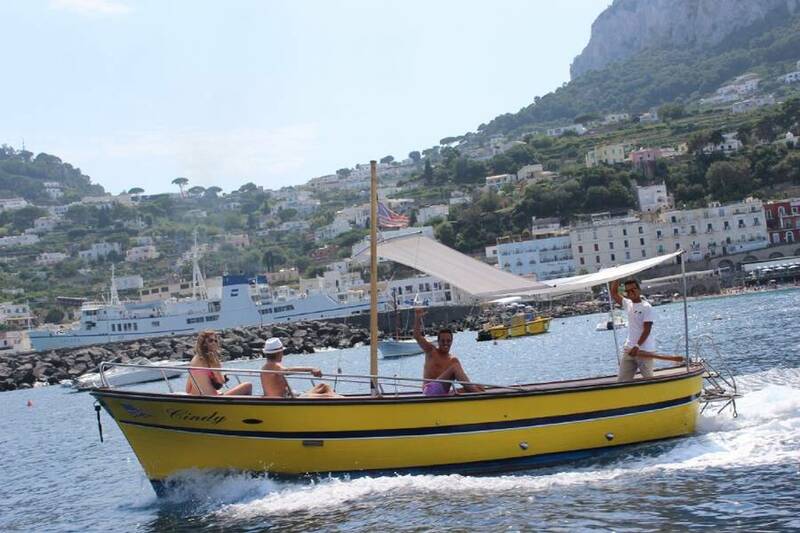 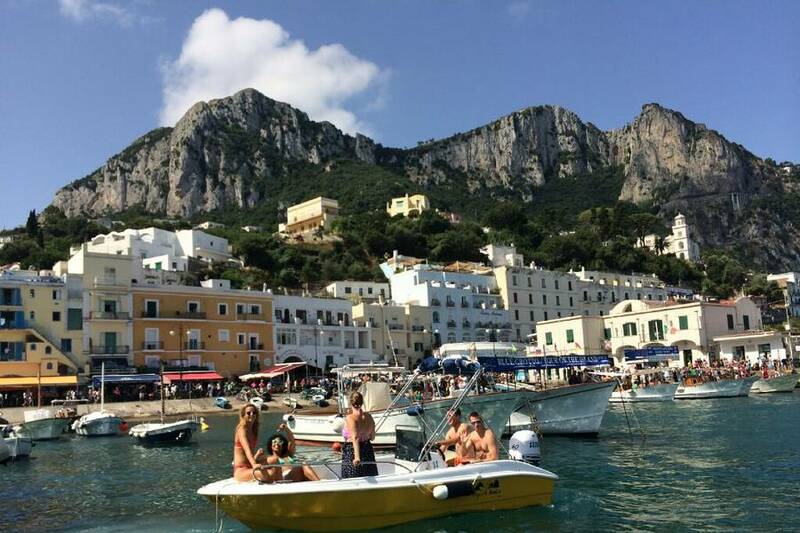 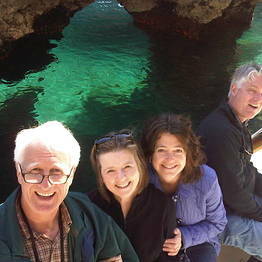 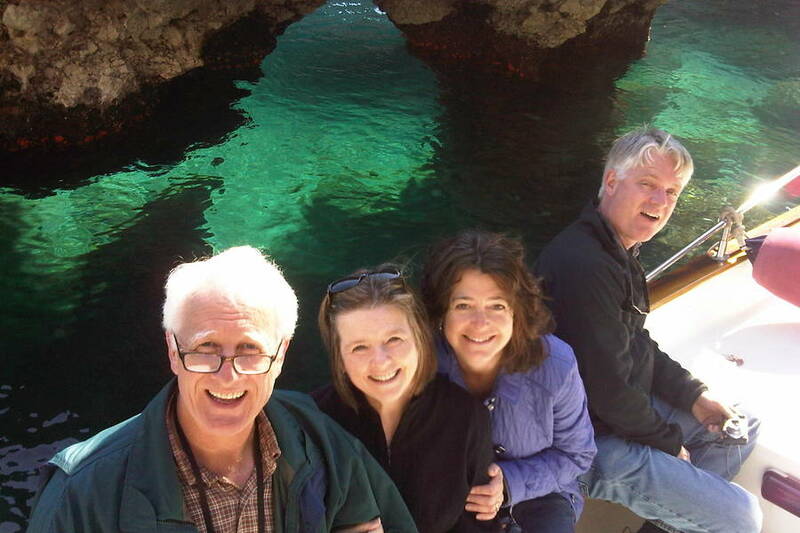 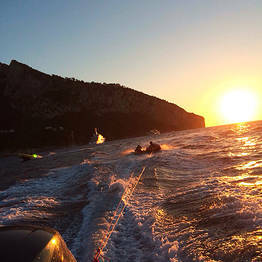 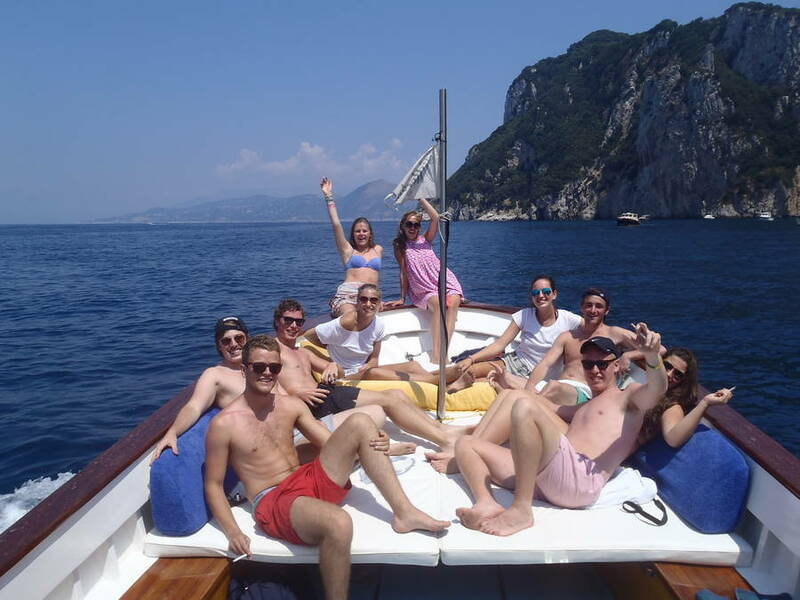 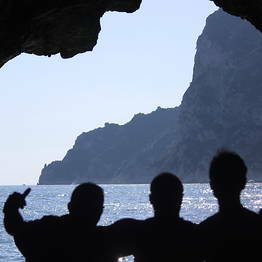 Capri Boat Tour with "Gennarino, The Legend"
The sea surrounding Capri holds no secrets for Gennarino. 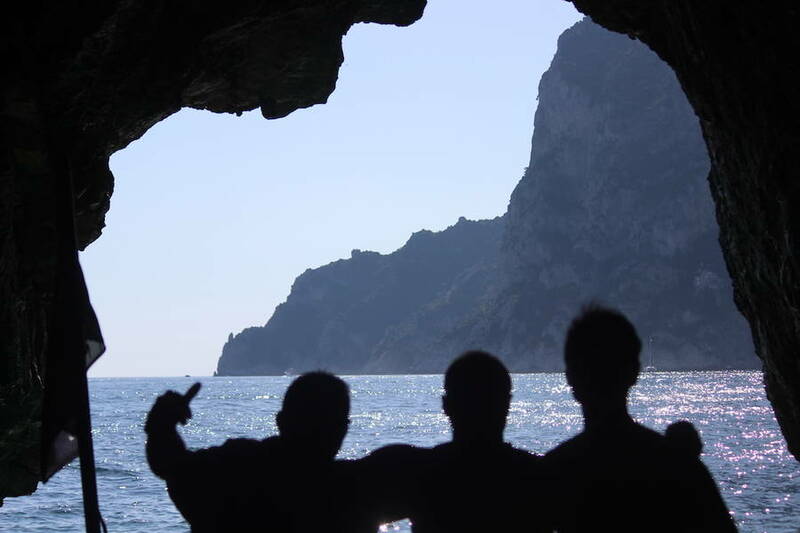 There isn't a bay, inlet, or sea cave that this man doesn't know like the back of his hand. 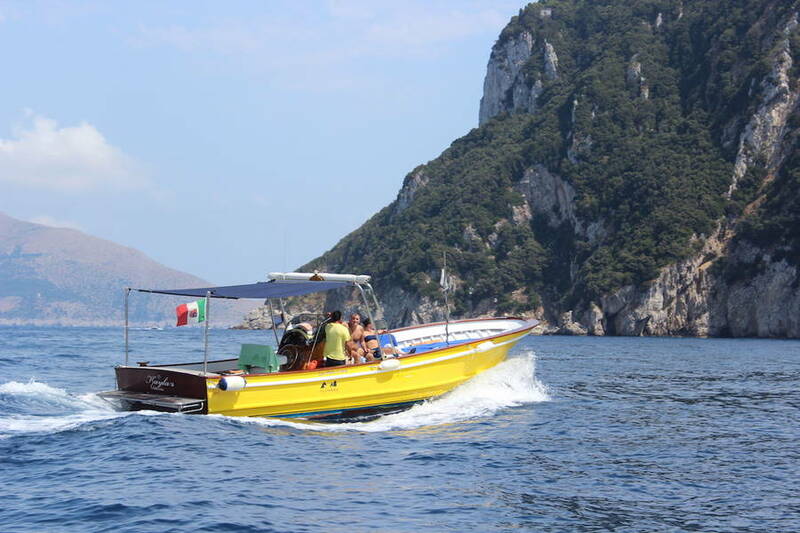 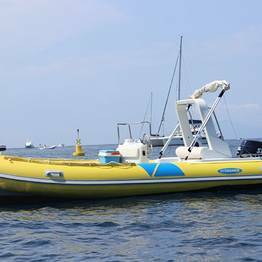 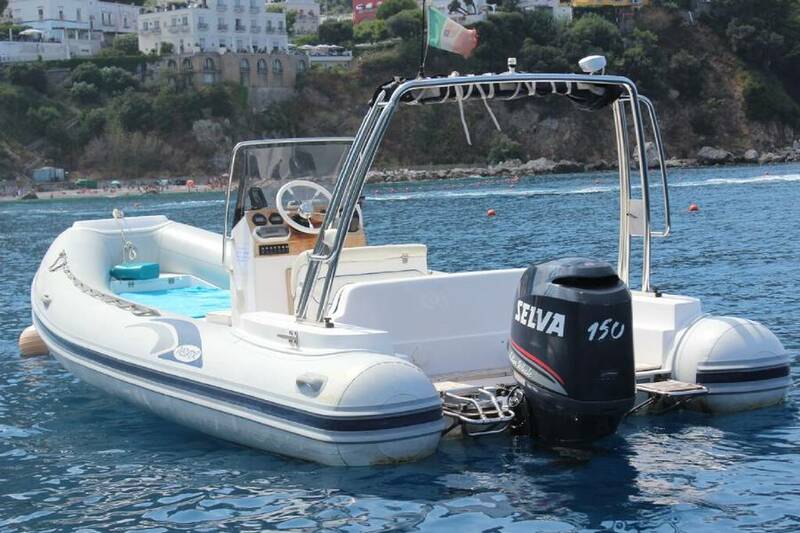 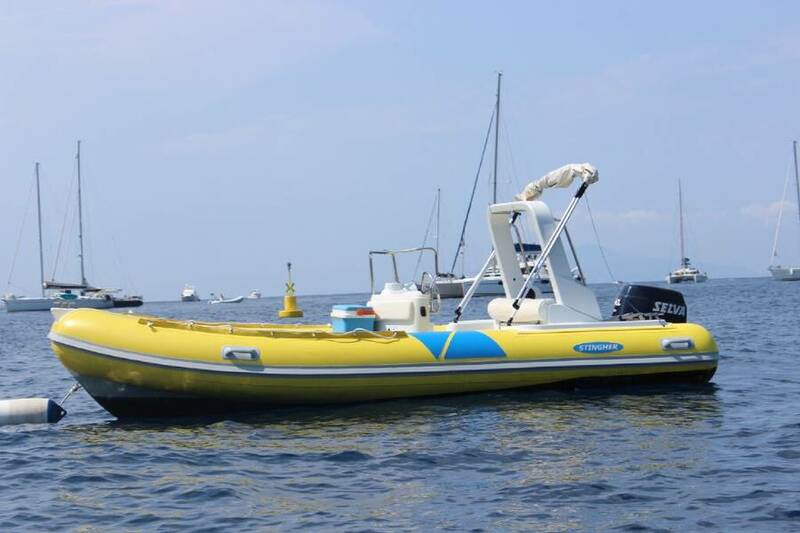 A fisherman, expert underwater diver and proud owner of the Capri Whales boat company: Gennarino is perhaps the best qualified of all the seafaring islanders to introduce visitors to the beauty of Capri. 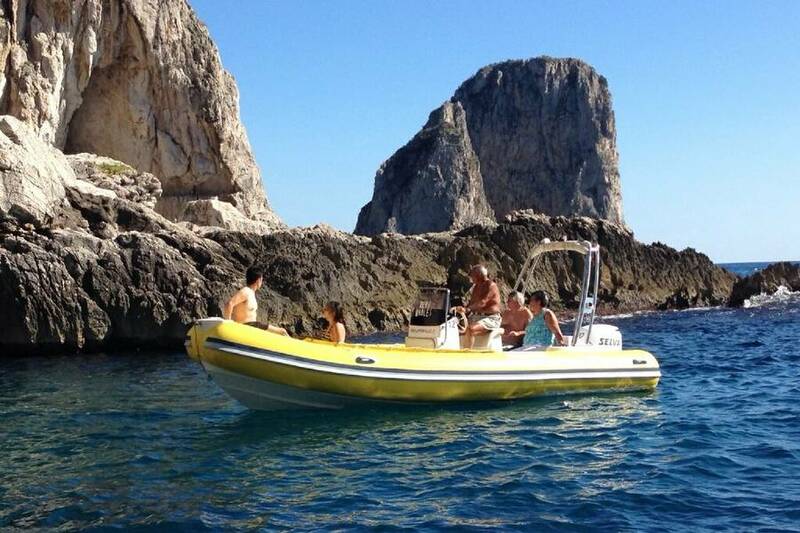 The Faraglioni, Grotta Azzurra, Marina Piccola, the light house, Grotta Verde: the classic tour around the island is even more special when you sail aboard one of Capri Whale's bright yellow boats. 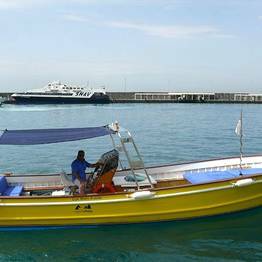 Courtesy, experience, and an undying passion for the sea: ingredients which, over the last 40 years, have made this family business one of the island's most reputable boat companies. 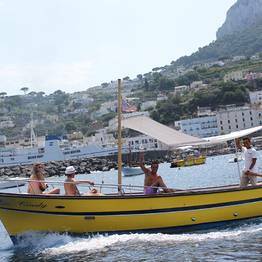 If you're on holiday with family or friends, rent a dinghy and get ready for hours of sun and fun on the sea surrounding Capri! 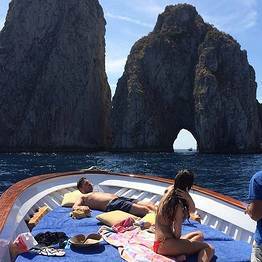 Capri Whales' romantic mini cruise, sailing along the Amalfi Coast and around the islands of Ischia and Procida, is an all-time favorite with honeymooners. 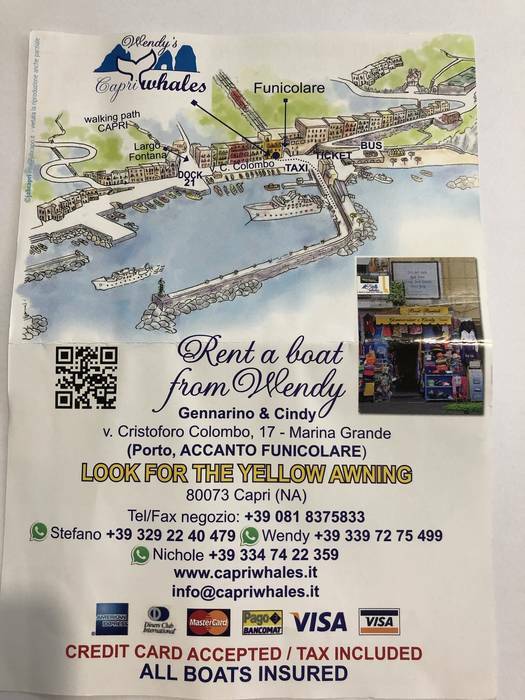 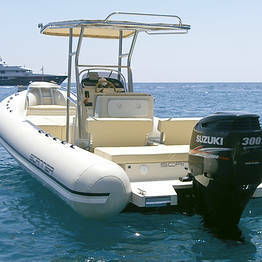 In addition, if you need a boat transfer to anywhere in the Bay of Naples, just call Capri Whales! 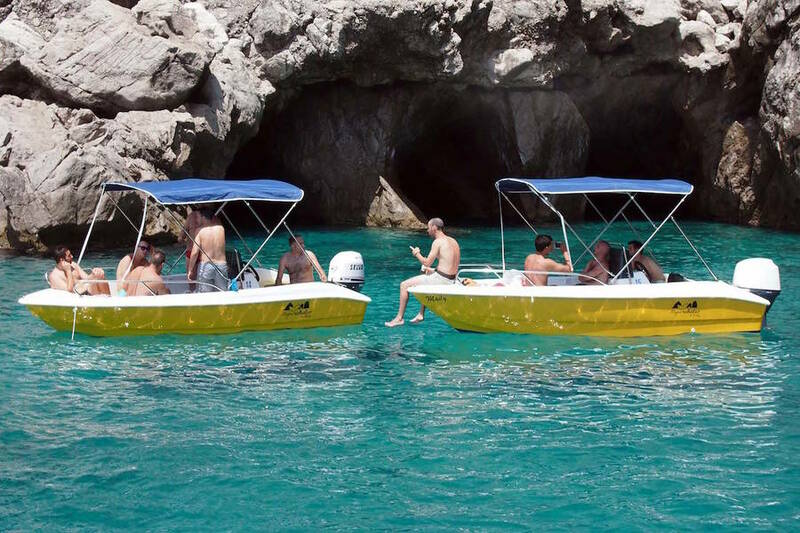 Your time at sea will be a true tour of the coastline, as our boats carry a limited number of passengers and can navigate into the tiny, hidden sea coves and caves so you can even take a dip! 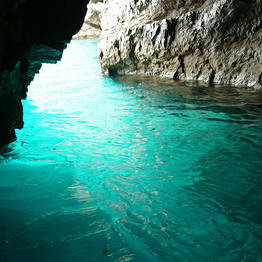 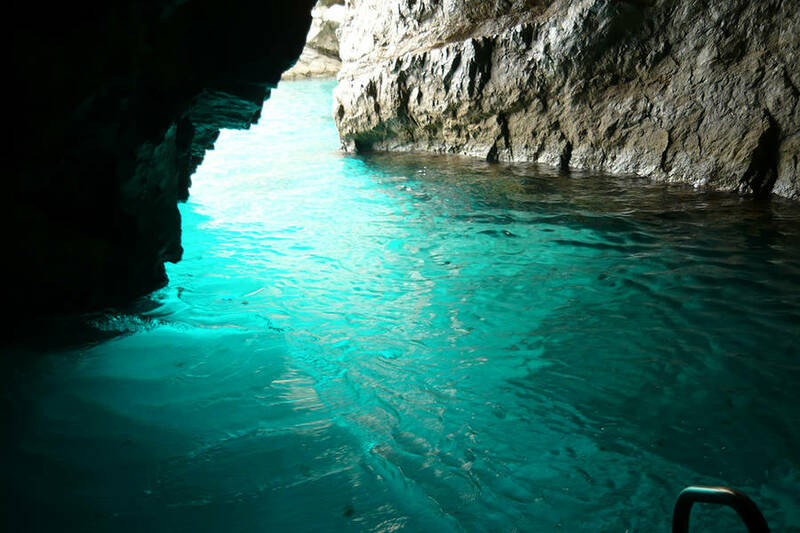 One of the island's first underwater divers, it was Gennarino who discovered the ancient Roman statues in Capri's Grotta Azzurra. 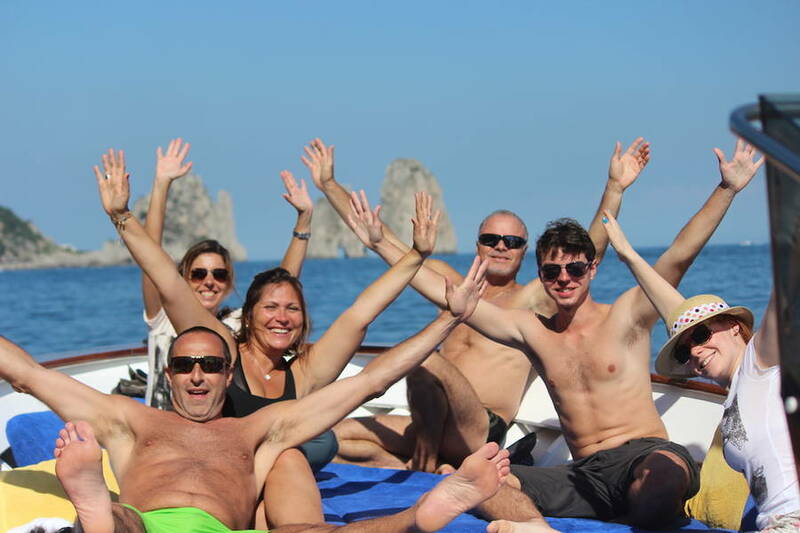 You'll have a whale of a time with us on one of our exclusive tours, with diving, sunset sails, water sports, and bachelor and bachelorette parties. 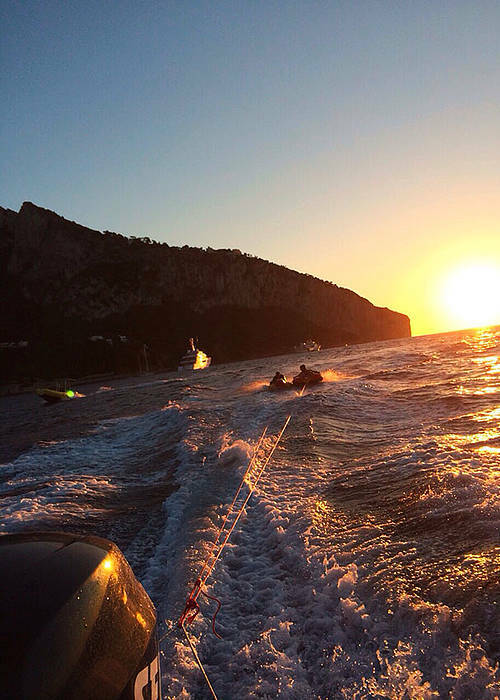 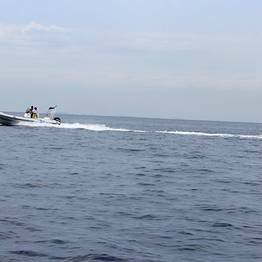 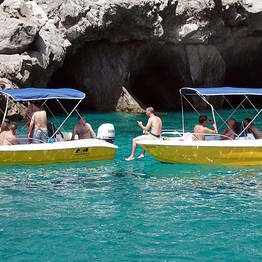 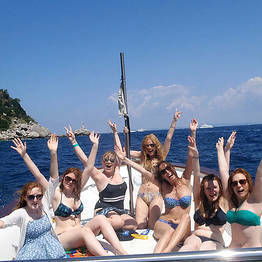 With Capri Whales, you'll discover the fun side of Capri! 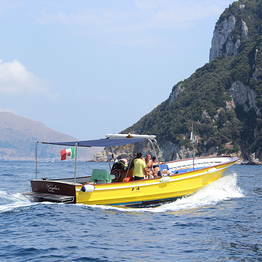 Capri Whales di Wendy began with a hurricane, or "urugano" in Italian - the name of Gennarino's first boat! 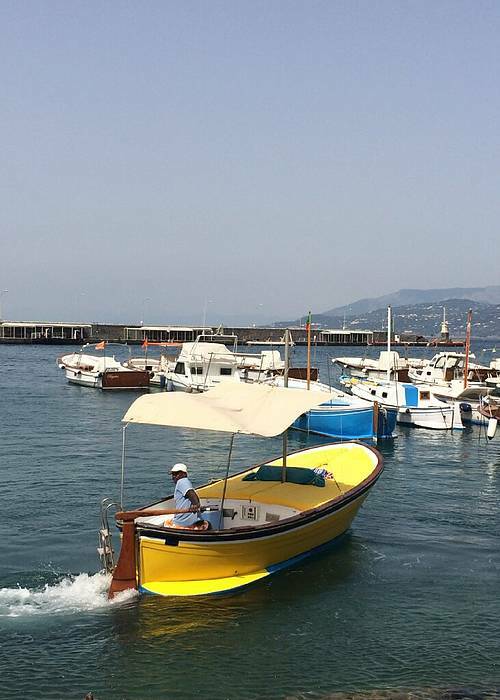 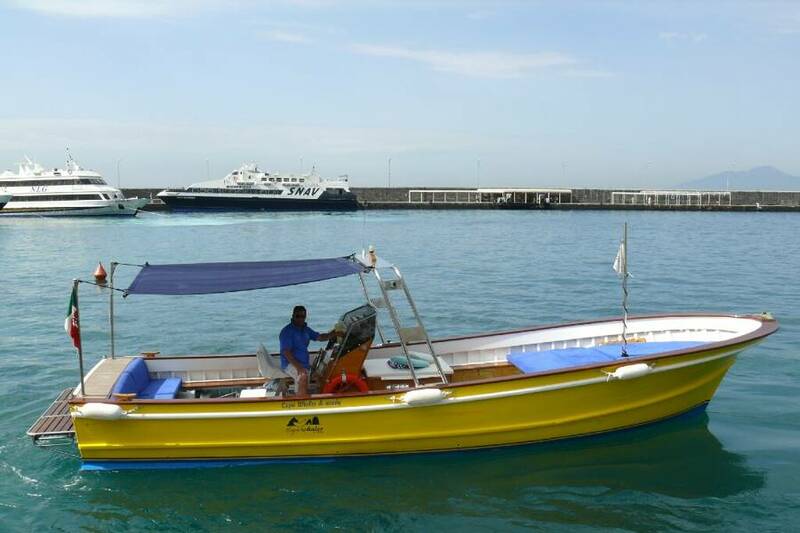 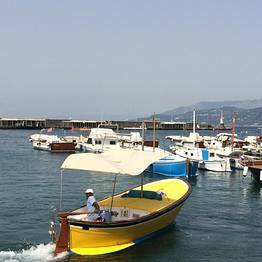 Today the company has a fleet of 13 boats, including "gozzi", traditional wooden fishing boats, and modern dinghies. 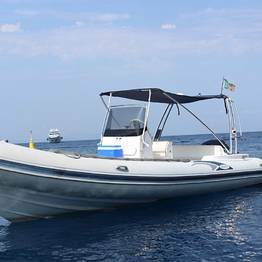 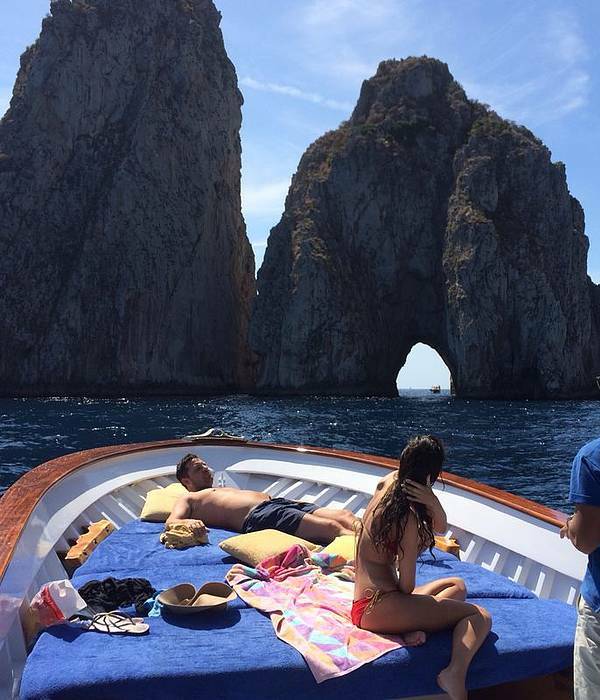 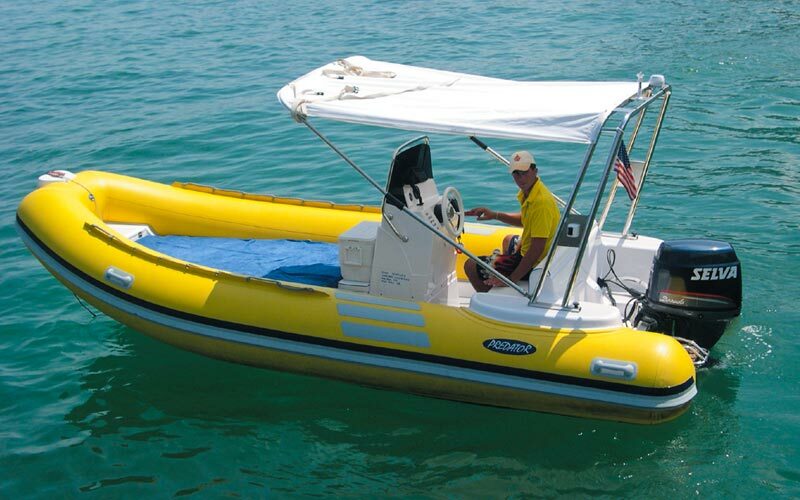 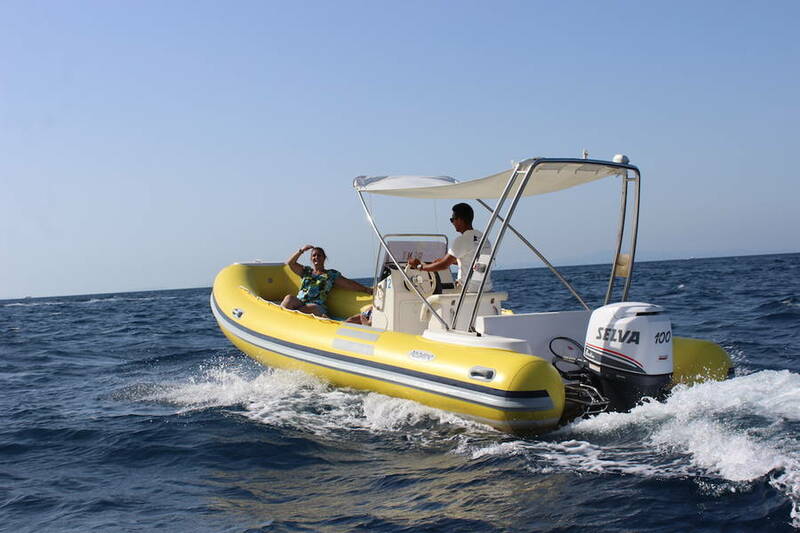 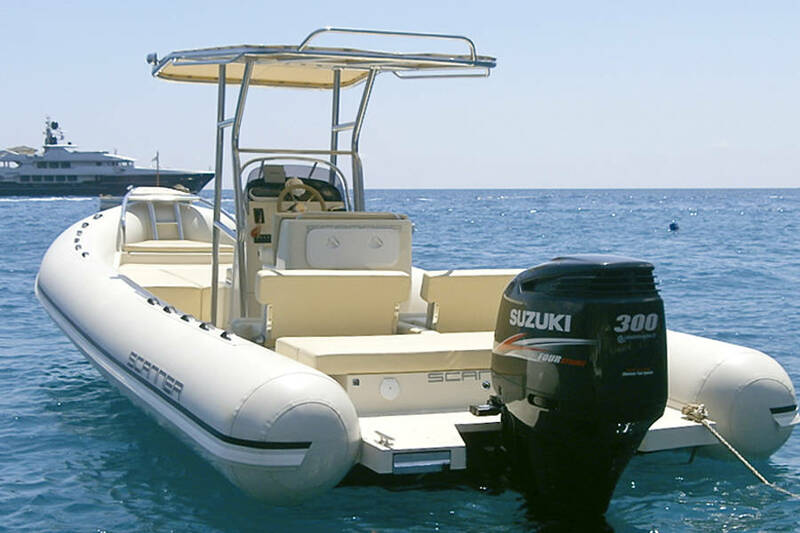 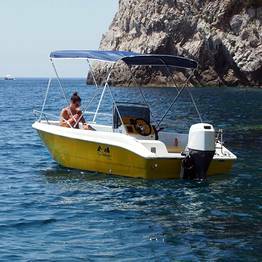 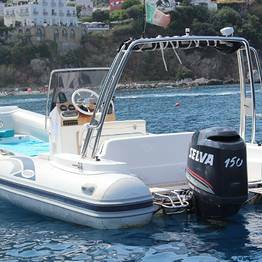 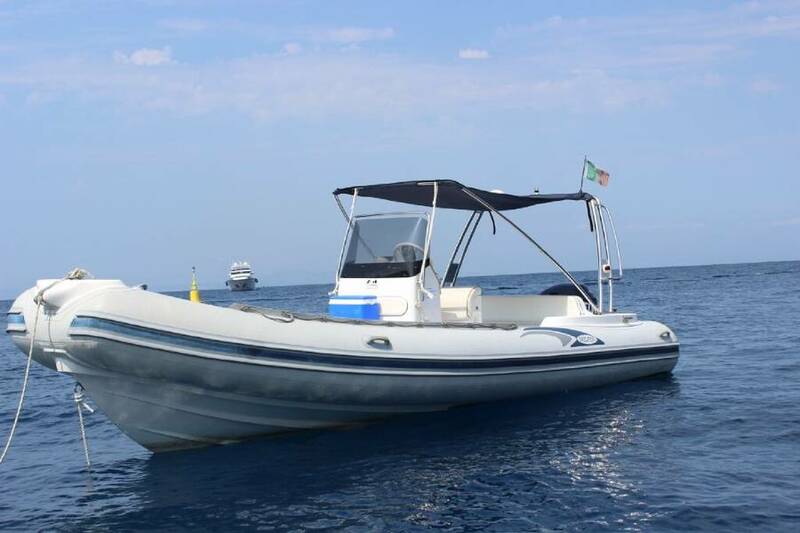 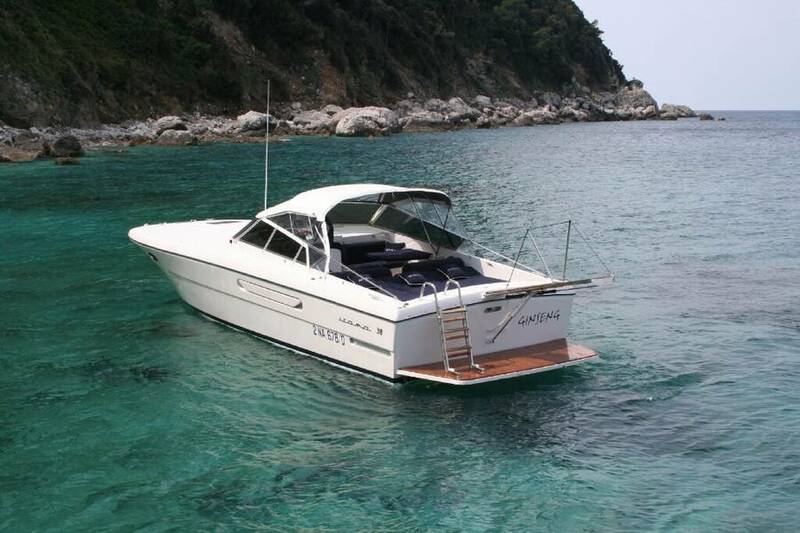 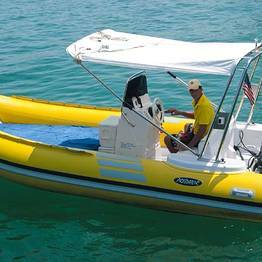 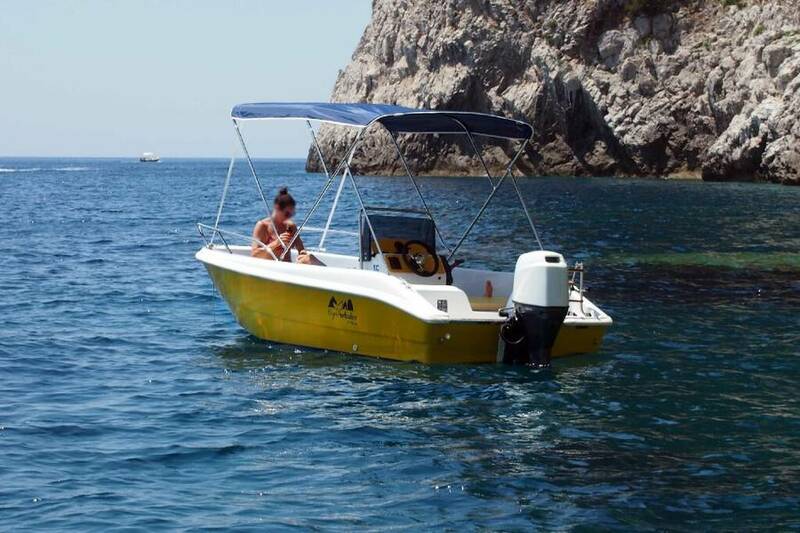 Rent one of Capri Whales' boats and aboard you can expect to find everything you'll need for a glorious day at sea: beach towels, cushions, a sun awning, a soft water shower and an ice box to keep drinks nice and cool. 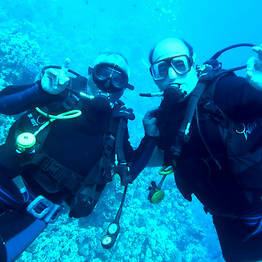 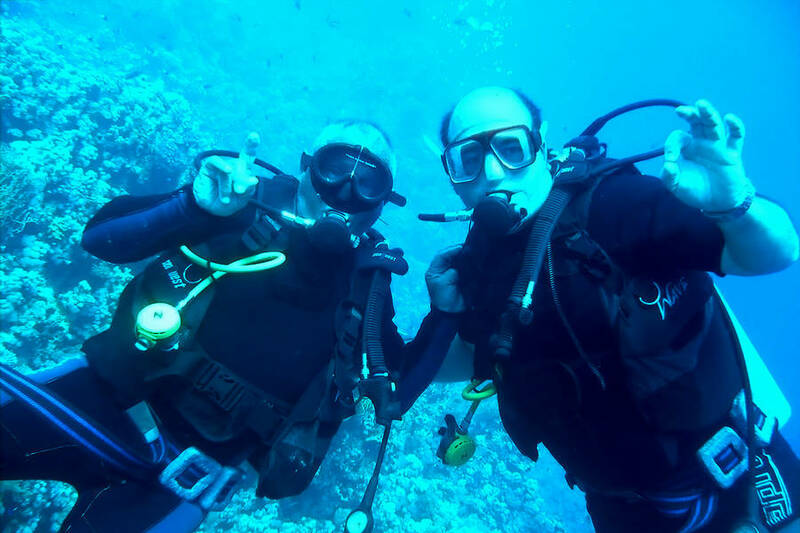 For a little aquatic fun, there are face masks, snorkels and flippers. 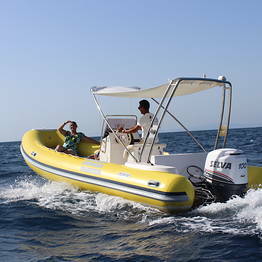 Boats are manned by expert sailors but, if you fancy trying your hand at the helm, you can rent a boat without crew too. 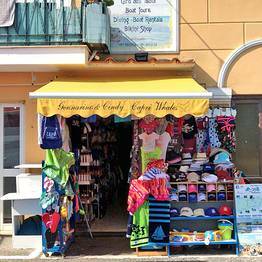 • Marina Grande, Capri's picturesque little port, ask a local where you can find Gennarino and they'll point you to a tiny souvenir shop: the somewhat unlikely head quarters of Capri Whales. 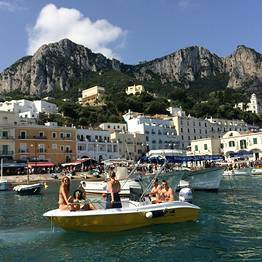 Wherever you're staying on the island, it's easy to get to Capri Whales: by taxi, bus, or by the funicular railway train which links Marina Grande with the Piazzetta. 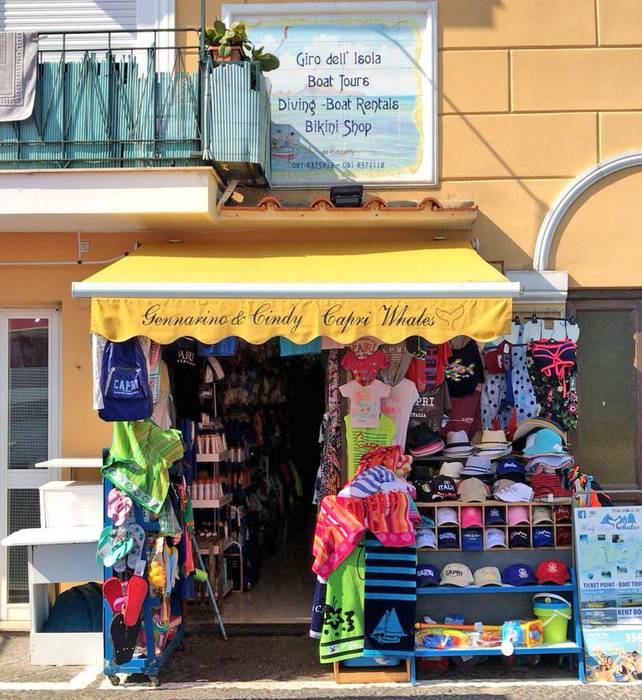 • Now also in Marina Piccola, on the steps to reach the beach.